Today I have for you the newest release from Benefit cosmetics, if your are a regular reader you'll know what a sucker I am for Benefit makeup so when I spotted it on Saturday (which was the actual release date) I had to go over and have a quick play. The lovely lady who works at the counter (who actually knows me by name now), spoke a bit about the product to me and popped a bit on my cheeks..i was pretty impressed to say the least - hence the purchase. The first thing you'll notice with majorette is the really cute kitsch packaging that benefit do oh-so-well. Its a really sturdy plastic case/pot that has a magnetized close to it and the shape of this strangely reminds me of a macaroon. 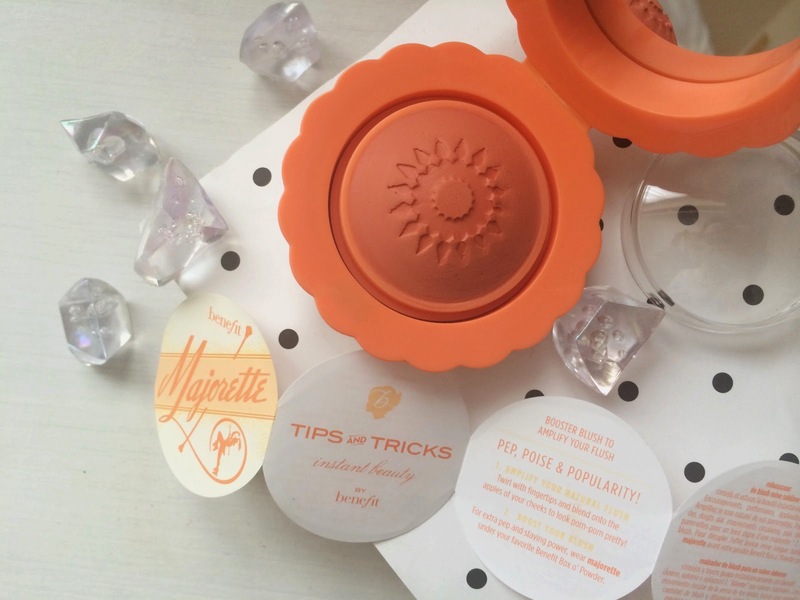 The middle of the pot has a pretty peach scalloped design, then when you flip it open it reveals a little mirror - a plastic cover for the product so things don't get messy, and a handy little "tips and tricks" fold out guide. Then you have the product itself - The embossed design on the top is super pretty, and makes it look a bit more special I think, its one of those things I will be sad about when it rubs off! 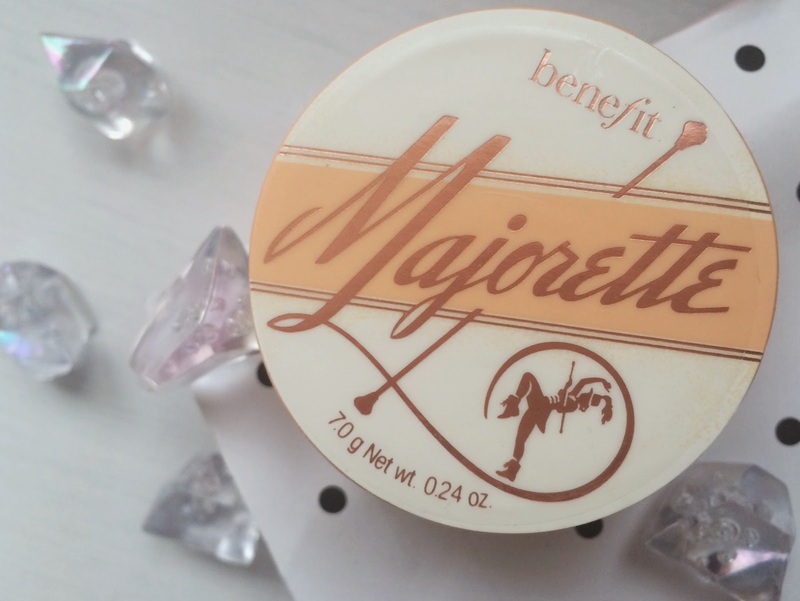 Benefit describe Majorette as a peach/pink coloured cream-to-powder booster blush, which can be worn alone or with another blush on top to boost the colour. This sounds rather different to me as I have never heard of a product before that you can put under a blusher to boost its colour..is it just me?, plus I will say - I cant see no hint of pink in this, it seems like a true peach to me. I have used this product by itself and with a blusher over the top and its brilliant! I really love how natural and brightening it looks on its own. All I use to apply this is my fingers, I just pat it on to the apples of my cheeks and blend out a bit to give me a healthy flush. 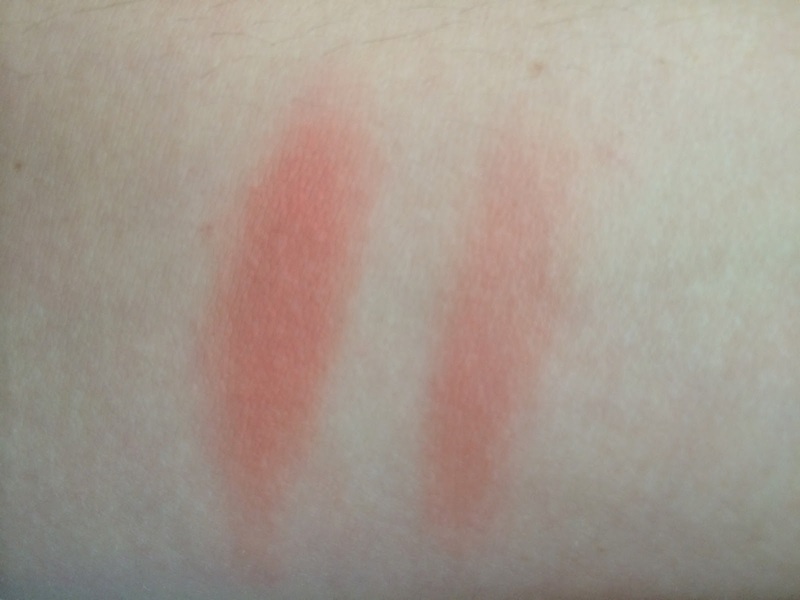 Then when I tried it under a blusher it made everything a lot more intense and slightly warmed up the shade too, this is going to be great for Autumn. As you can see Majorette is definitely a cream blush with a powder finish, it applies like a dream as it literally feels like velvet to touch. It blends super easy so I think this product would be brilliant for any of you who are a little scared of cream blushes, plus if you still don't like using it you can pop your blush on top to just use it for that intensifying part. 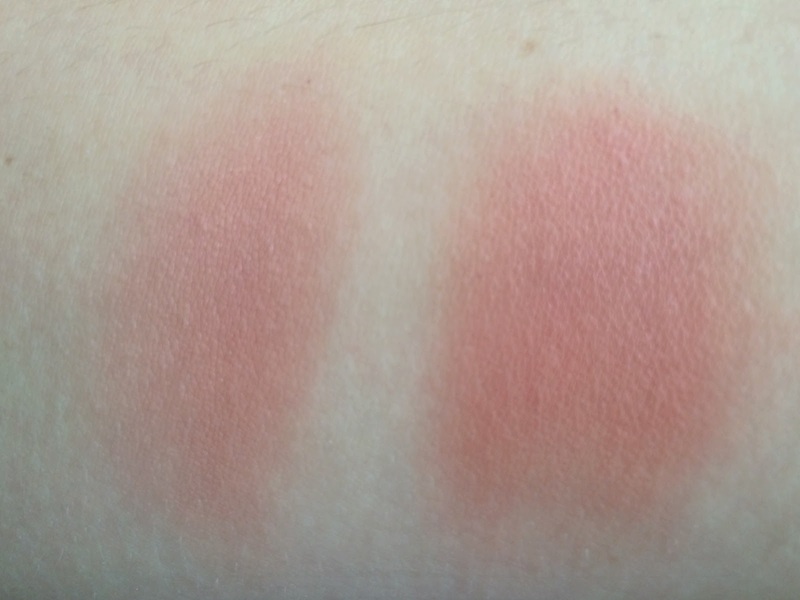 The above picture shows how it can certainly make your blusher pop with just a bit of Majorette underneath, its pretty clever because if you have a blusher at home that your not to sure of - put a swipe of majorette under and it may make you think differently. This Cream blush is also a completely matte peach shade which makes it much more versatile.. it literally makes my blusher last all day long. Now I also have to mention how ahhhh-mazing this smells - its a very peachy/apricot scent..its just beautiful. I can see myself experimenting with this to see what changes it makes to other blushers in my collection, its a pretty interesting little product don't you think? Have you tried Majorette? What do you think of this ? I'd love to hear your thoughts. The packaging is so adorable! And it looks really good - Going to give it a try this week but unsure if it's going to suit my skin tone! Soon find out... And what you say about the local benefit counter knowing your name - it's the same here haha. Terrible isn't it?! 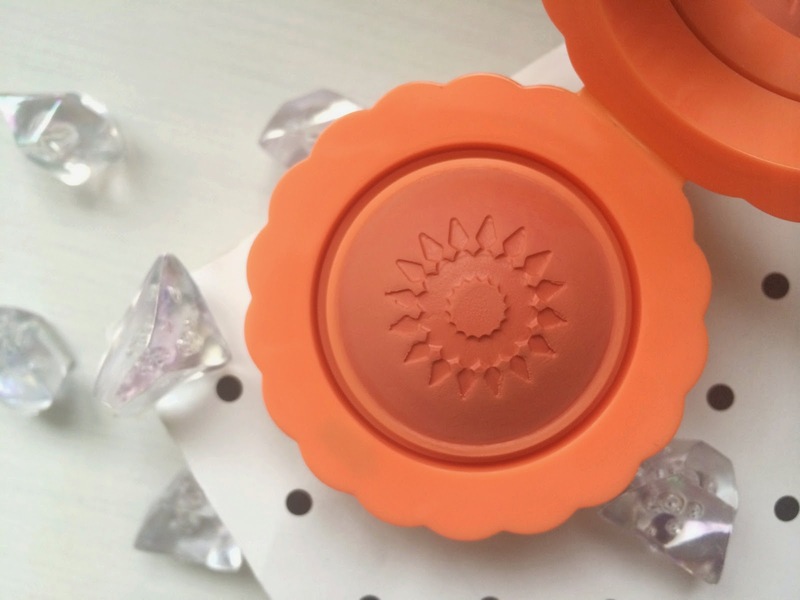 I haven't tried very much of Benefit's makeup, though so much of it is on my wishlist! I think I'll have to add this to it as well, it looks wonderful! Yeah I'm with you there, I have a mini sample of the push up liner to try but not sure if I'm going to like it. Not too keen on They're Real any more either, used to be a big fan then all of a sudden it done nothing. The photos are incredible! 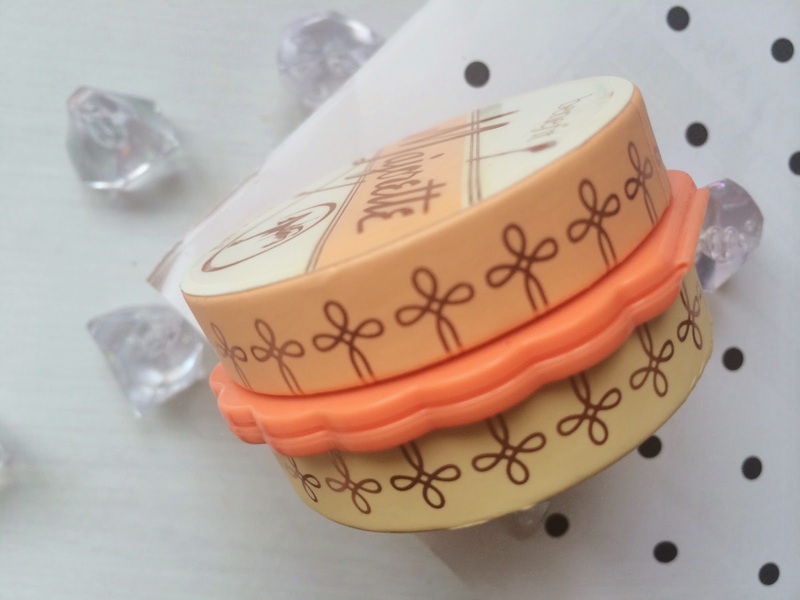 This blush looks lovely and the packaging is so cute. I've not tried anything Benefit has to offer and I don't even know why! Ahh benefits packaging is amazing most the time but this has to be at the top! I'm definitely getting this! Looks great! How cute is this! It looks great, and sounds lovely! I'm just writing an ever-growing American beauty shopping list! Custom Blog Design by gatto.